The latest edition of SNOMED CT and the SNOMED-CPT Mappings are available for Apelon Content Subscription customers who are still using DTS 3.5.2. Will this tool get past beta? Our friends at West Coast Informatics recently announced their foray into the increasingy crowded landscape of entry-level terminology servers. 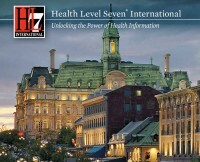 Apelon is looking forward to participating in the FHIR Connectathon to be held in conjunction with the upcoming HL7 Working Group Meeting in Paris. Apelon is very pleased to announce general availability of Version 4.0 of the Distributed Terminology System (DTS). For over fifteen years, DTS has been the industry's leading vocabulary server supporting the creation, maintenance and deployment of healthcare terminologies. Recently made available as an open source project, DTS is a comprehensive solution for the deployment of standardized terminologies, with local enhancements, into distributed application environments. DTS creates a platform for robust data standardization and interoperability for EHRs, HIEs, and decision support systems by establishing a single common resource for an organization's terminology assets. Being open source, DTS also provides significant cost, integration and adoption advantages compared to proprietary solutions.